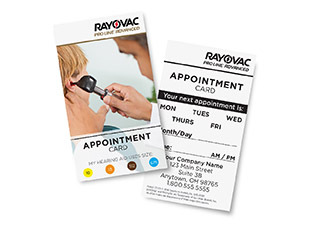 Use these cards to remind your patients about their next appointment and their battery size. Don't forget to ask if they need batteries! 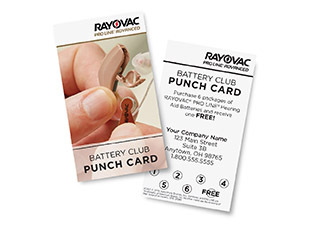 Patients pre-pay for booklets and then mail in postcards when they need fresh batteries. 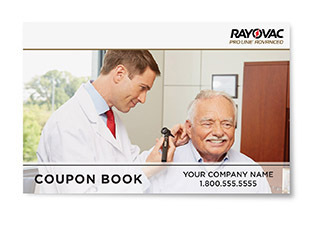 Add your business information to make this simple for you and your patient. 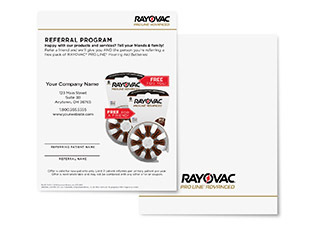 Keep customers coming back with a punch card program. If they buy batteries from you 10 times, their next purchase is free.